Just how bad do you think Brexit will be? 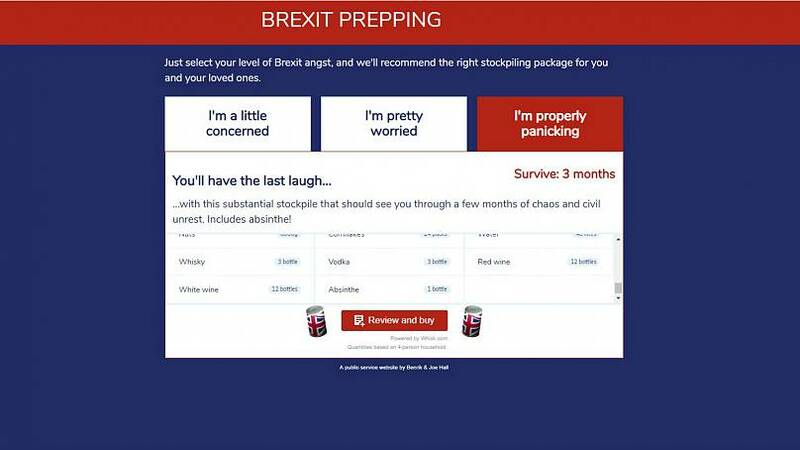 That's just the first line of tongue-in-cheek website www.brexitprepping.com, which offers Britons help with pre-March 29 stockpiling preparations. 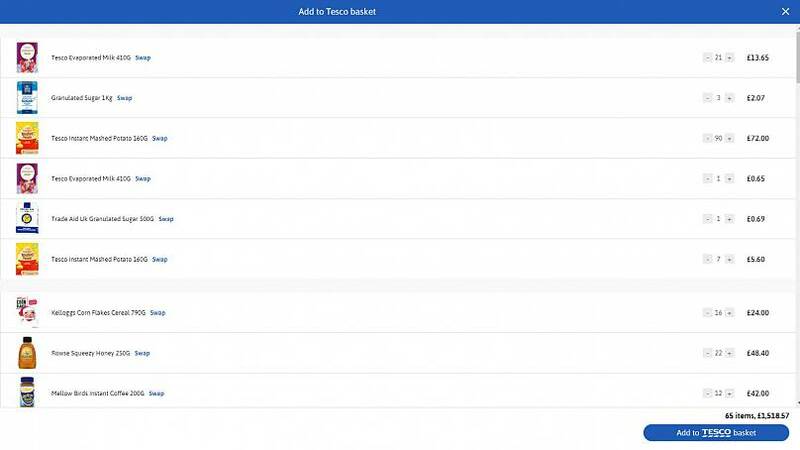 Directly appealing to a customer's stance on Brexit, the service offers three predetermined shopping lists: a week's supply of essentials for those who are just "a little concerned," a month's supply for those who are "pretty worried," and for those who consider themselves to be "properly panicking," a 3-month survival package, including 14 bottles of wine and a bottle of absinthe. 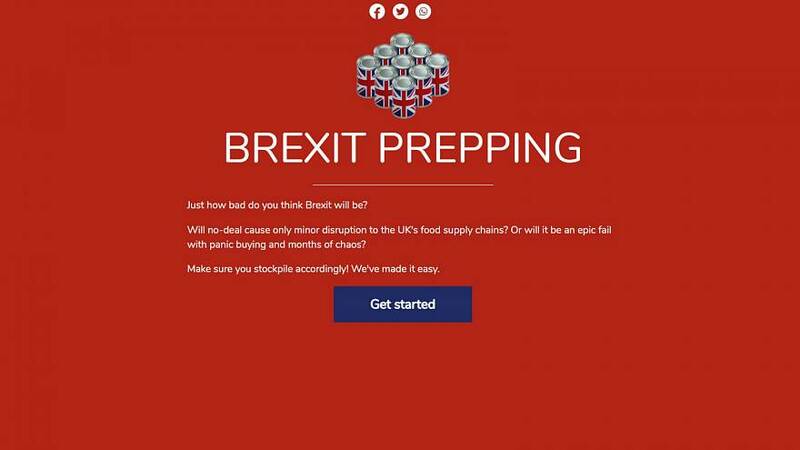 "The idea was to normalise stockpiling to make people realise what Brexit actually involved," website creator and author Ben Carey told Euronews via email. "It's crazy but true: everyone should be stockpiling now as we are deliberately sabotaging our economy. Hopefully, it may help some people reconsider their views." Carey, who teamed up with fellow author Henrik Delehag and digital developer Joe Hall for the project, said the team favoured the second stockpiling option, a month's supply, for themselves, adding, "we are pretty worried." Once a user has made their selection on the website, they are directed to an online supermarket to complete the purchase. Making calculations based on a family of four, the "little concerned" customers can expect to spend around €127, the "pretty worried" customers: €527, and the customers who are "properly panicking," will be spending around €1,625. "We researched American prepping sites, which go into scientific precision on these matters," Carey said. "But we stripped out some American preferences like huge quantities of peanut butter, and replaced them with British favourites, like baked beans." Reassuring even the most pessimistic among us, Carey added: "We are not also envisaging the complete collapse of civilisation. We do provide some water for example, but we don't think the UK's water supply will fail for long periods. In some ways we're optimistic!" Discussion about the lack of clean drinking water after Brexit was initially sparked after a British newspaper cited leaked contingency plans from the government, which expressed worries over importing purification chemicals from Europe in the event of a no-deal Brexit. However, the idea of completely running out of clean water has since been deemed unlikely. Which stockpiles are people buying? It's not clear how many, if any, stockpile purchases have been made after users clicked through the website, although Carey had some suggestions for any politicians who might be interested. "A Brexiteer like Jacob Rees-Mogg might choose option 1, but a full-blown remainer like Anna Soubry would want option 3," he said. Labour leader "Jeremy Corbyn could hedge his bets with option 2."